The fruit of the citrus aurantifolia is used in cuisine in multiple countries, where it is prized for its vibrant color and sharp flavor and scent profile. Our lime essential oil is cold-pressed from limes grown in Italy. Lime essential oil is one of the brightest citrus scents, and has potent uplifting abilities. It acts as an astringent on skin, so can be used to decongest oily skin. Applied topically, lime can be phototoxic, so avoid direct sunlight for 24 hours after use. Diffuse or apply in 2-5% dilution. 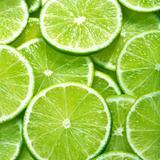 Lime has been used historically to prevent sailors long at sea from developing scurvy. Lime Essential Oil is considered phototoxic. Users should avoid direct sunlight after application. Avoid use during pregnancy.